Cute and casual, these tees can also be dressed up too! 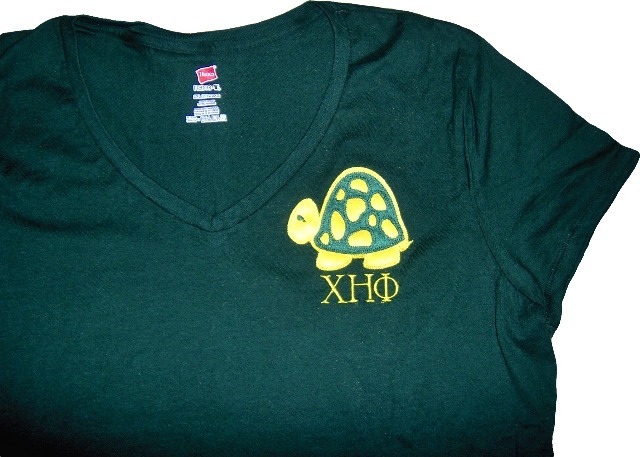 A stitched twill turtle is over your heart, with embroidered greek letters underneath. These are ladies' sized and shaped tees.